Notifications in iOS were vastly improved with iOS 7 as Apple solidified the Notification Center that we know today. As you probably already know, notifications are always grouped by the app they came from but iOS 9 has finally given us the option to disable app groupings and let notifications roam free. 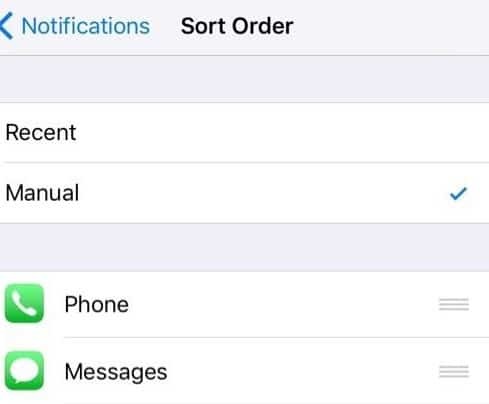 Furthermore, you can place priority apps at the top of the list so that you always get the notifications you want, regardless of when they arrive. The change are very small but they can definitely change the way you deal with incoming notifications in your iOS device. To begin with, open the Settings app in your iOS device and go to the Notifications menu. At the very top of the menu you should see two options: “Sort Order” and “Group By App”. By default, the Sort Order should be at “Recent” and the Group By App toggle should be enabled. To disable app groupings and have the notifications appear in a constant stream, simply turn the Group By App toggle off. To prioritize some apps over others, change the Sort Order to “Manual” instead of “Recent”. Then, drag the priority apps at the top of the list. It is worth noting that sorting notifications by “Manual” will automatically enforce app groups which makes sense as you want to keep everything from that app together at the top of the Notification Center.